The South is all about friendly welcomes and gracious hospitality. With that in mind, we've carefully selected historic hotels, boutique properties and small inns or bed and breakfasts in each of the stops. 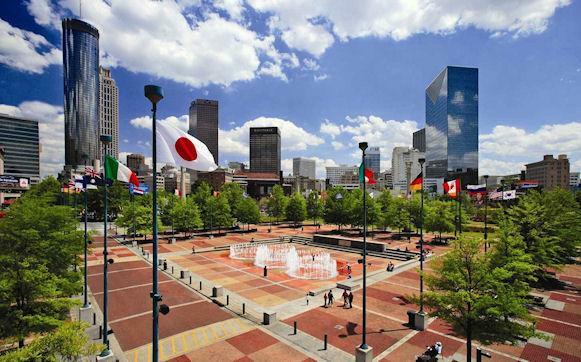 Atlanta is the state capital of the Peach State and the cultural heart of the "New South." 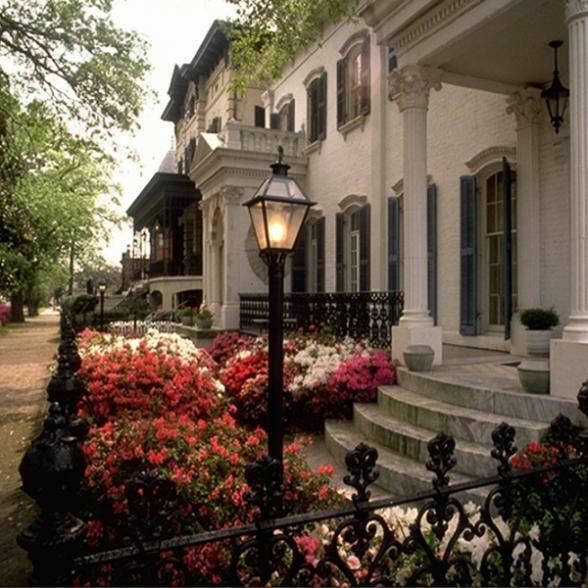 This is where Margaret Mitchell penned her famous novel Gone with the Wind and is a charming blend of old Southern traditions and modern lifestyles. Friendly communities featuring tree-shaded streets sit next to contemporary skyscrapers and urban high-rises. You'll find excellent museums showcasing the history of the area just steps from vast shopping malls and award winning restaurants. 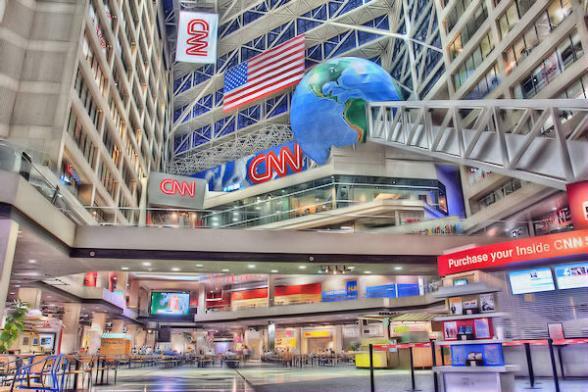 Spend time learning about the Civil Rights Movement at the emotive Martin Luther King Jr. National Historic Site, or check out the headquarters of CNN. Atlanta's Georgia Aquarium is the largest of its kind in the western hemisphere and is adjacent to another Atlanta must-do, The World of Coca Cola. Pop in and visit the vault where the secret recipe is closely guarded. Guided bike tours are also available through Atlanta's neighbourhoods. 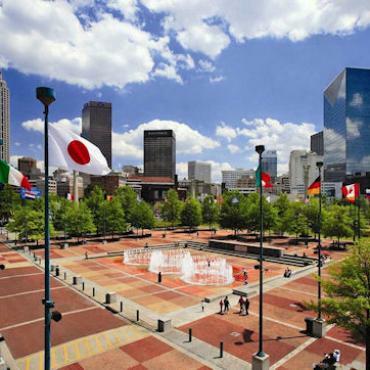 History buffs will adore the Atlanta Cyclorama & Civil War Museum. Home to one of the world's largest paintings, "The Battle of Atlanta", as well as a large collection of Civil War artifacts. After Clark Gable visited Cyclorama in 1939, whilst filming 'Gone with the wind', he took a liking to the painting so much that the Mayor had the painter change a face of a Union soldier to resemble Gable's Rhett Butler. On your journey to the Georgia coast, consider a stop in Plains, home of the 39th President of the United States, Jimmy Carter. This IS small town America and joy to stroll through. Historic Macon, the former home of legendary singer Otis Redding, is another worthwhile stop. He's memorialised in a life-size statue at beautiful Gateway Park and the Mini Museum offers an interesting peak into his life. Hip and historic, Savannah is a charming, quirky city full of period architecture, trendy boutiques and local cuisine straight from the coast. Savannah also has a world-class reputation for hospitality and grace. Things are just a bit slower, just a bit friendlier. Take your time and soak it all in. Tour through a pre-Civil War era mansion at the Mercer-Williams House, or visit the birthplace of the Girl Scouts of America at the Juliette Gordon Low House. Test your bravery on a haunted ghost tour through the nooks and crannies of the city or take a movie tour to learn about feature films produced here. One of the most famous has to be Forest Gump. 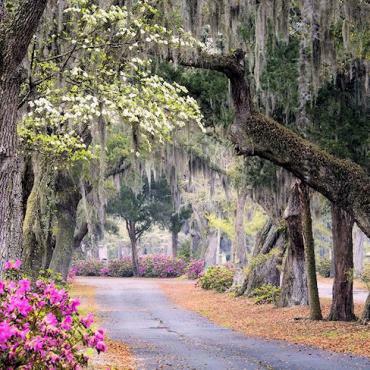 Leave Georgia behind for the South Carolina Sea Islands. The ancient slave language of Gullah is still spoken, African traditions are carried on and salty marshes perfume the air. 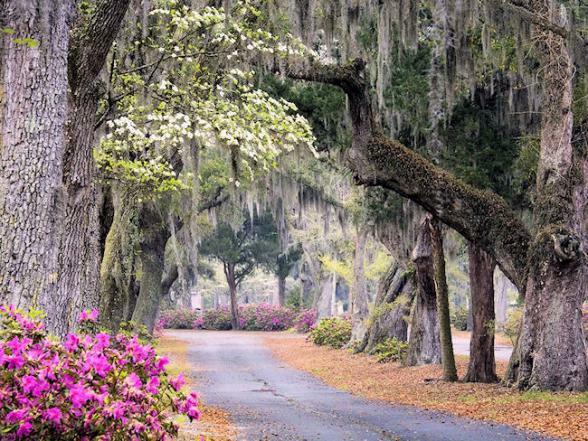 Head to Hilton Head Island for brunch and stop to explore the 'Sea Islands Gateway' in the oh-so charming, historic town of Beaufort. 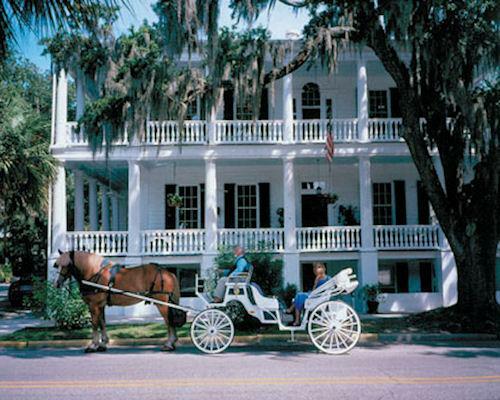 Established in 1710, grand antebellum homes, survivors of the War of Independence and the Civil War, line cobbled streets and Spanish moss weeps from the ancient oak trees. Just thirty minutes from Charleston lies serene Kiawah Island. This coastal barrier island is an oasis of untouched natural beauty and boasts ten miles of uncrowded beaches, as well as, five championship golf courses. 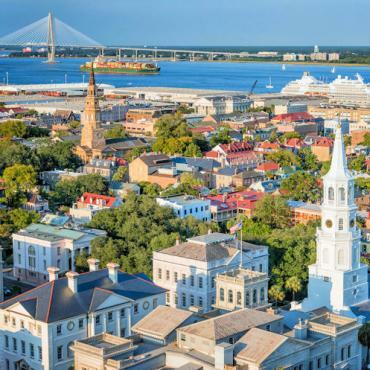 Charleston, South Carolina’s oldest city, is rich with its vibrant culture, history, exquisitely-preserved architecture and celebrated dining scene. 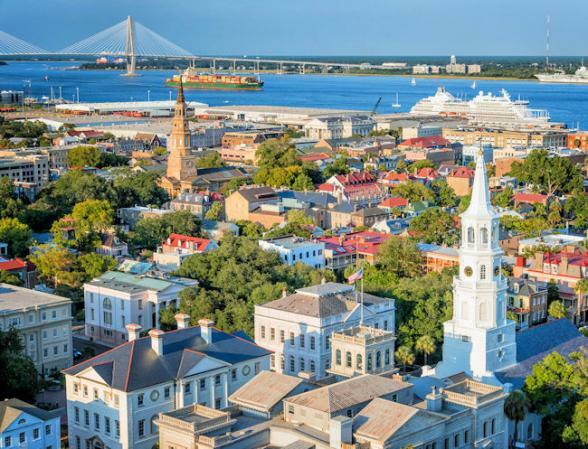 Centuries-old mansions, cobblestone streets, horse-drawn carriages, pastel antebellum houses, Spanish moss-draped trees, garden walks await you in one of America's friendliest cities. As you amble along gaslamp-lit streets with horse-drawn carriages and antebellum architecture, you just might think you've travelled back in time. But don't think Charleston is stuck in the past. 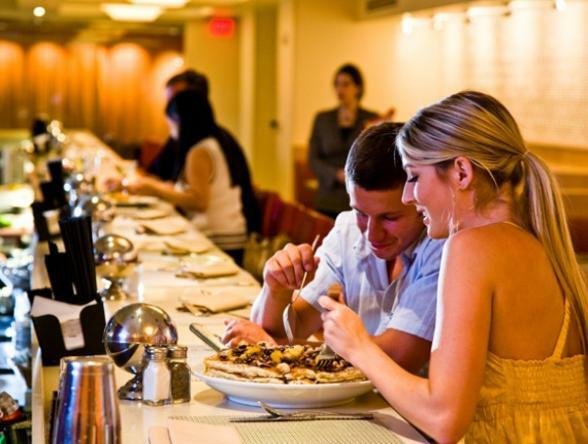 It's proud of its innovative restaurants, interesting shops, contemporary art galleries and one of the America's major US performing arts festivals - Spoleto Festival USA. 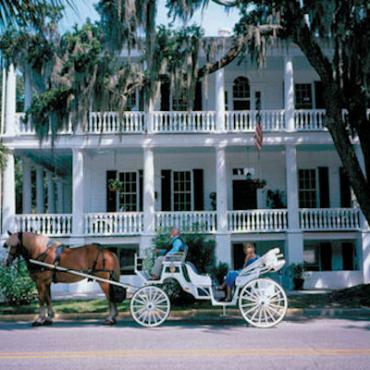 There's no better city to experience the genteel South – after all, Charleston was the home of Rhett Butler. You'll journey through the Francis Marion National Forest and hug the Atlantic Coast as you travel north through South Carolina. Stop at Georgetown, the third oldest city in the state. 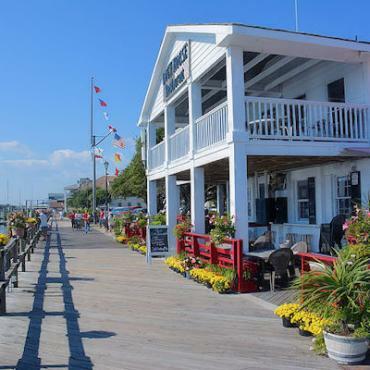 Be sure to amble along Front Street and the Harborwalk, where you can check out one-of-a-kind stores and and dine on Lowcountry cuisine in one of the many waterfront cafes. You may also wish to break your road trip in lively Myrtle Beach, this all-American beach town is known for its sixty mile string of beaches, endless golf courses, beachfront board walk and the Skywheel, one of the USA's tallest Ferris wheels. Your home for the next two nights is Southport , 'America's Happiest Seaside Town". This picture-postcard coastal town has long been a port of haven for sea captains as far back as the 1700’s. 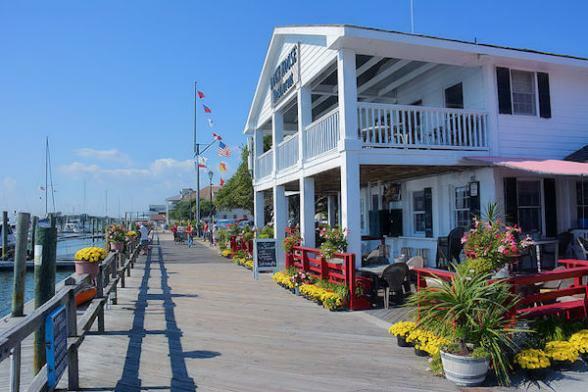 Stroll the docks and have a crab-cake sandwich and steamed shrimp at one of several restaurants featuring outdoor dining on the waterfront. Don't forget to jump on the ferry to nearby Bald Head Island. Once a notorious hideout for pirates like Blackbeard and Stede Bonnet, this car-free island can be explored by bike, golf cart or boat and is an eco-lover's paradise. And, home to one of the largest sea turtle nesting sites in North Carolina. 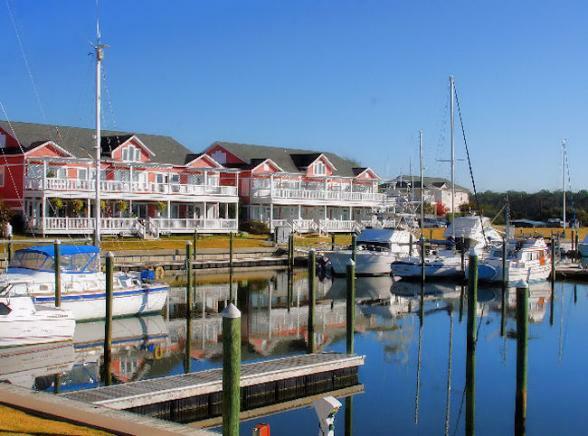 Leave sleepy Southport behind and travel along the coast and Onslow Bay to Emerald Isle on North Carolina's Crystal Coast. This region offers 12 miles of pristine shoreline and is a haven for all things beach, watersports, fishing, boating and miles of nature trails. Discover Blackbeard’s infamous ship, Queen Anne’s Revenge at the North Carolina Maritime Museum, or view albino sea turtles at the Aquarium at Pine Knoll Shores. 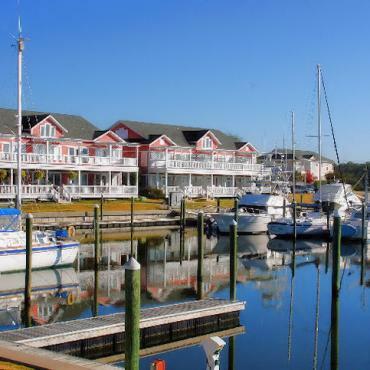 No stay in North Carolina's Crystal Coast is complete without a visit to pretty Beaufort, once voted 'America’s Coolest Small Town'. Leave the North Carolina Coast behind and head into the heart of the state with an overnight stay in historic Chapel Hill. Hailed as “America’s Foodiest Small Town” by Bon Appetit Magazine, Chapel Hill is rapidly becoming a hot spot for pop American cuisine. 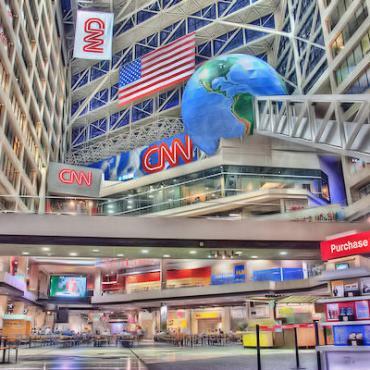 It’s a trend-setting playground full of sights, sounds and tastes that make it the kind of place that authors, musicians, and artists call home. The music scene in the area is rocking too with local, regional and national bands playing just about every night of the week Check out Cat’s Cradle, Local 506 and The Cave. 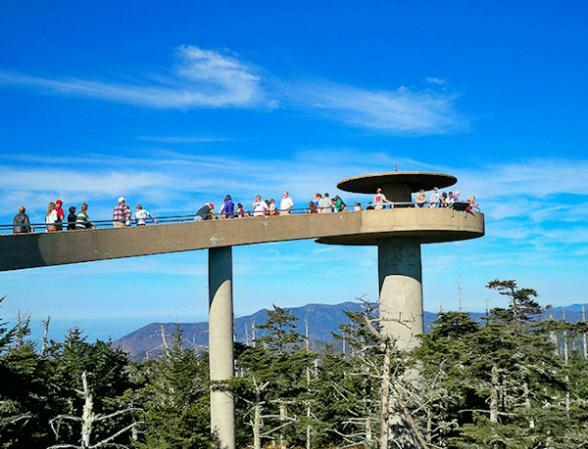 Known by the Cherokee Indians as the “land of the blue mist,” Great Smoky Mountains National Park is divided equally between North Carolina and Tennessee. Boasting some of the oldest mountains in the world, this International Biosphere Reserve and UNESCO World heritage site, is home to 4,000 plant species, 140 tree species and an estimated 1,600 black bears. 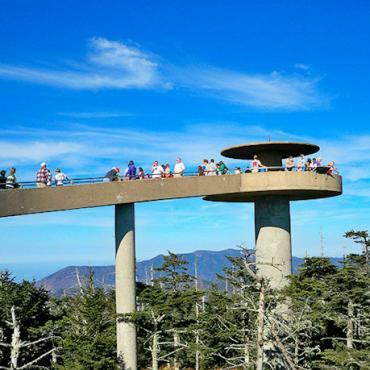 When you're not exploring 850 miles of hiking trails, hop in the car and cruise the 32-mile stretch of road that connects Cherokee, North Carolina to Gatlinburg, Tennessee, or visit Clingman's Dome, the highest point at 6,643 feet, for astonishing panoramic views over the park. 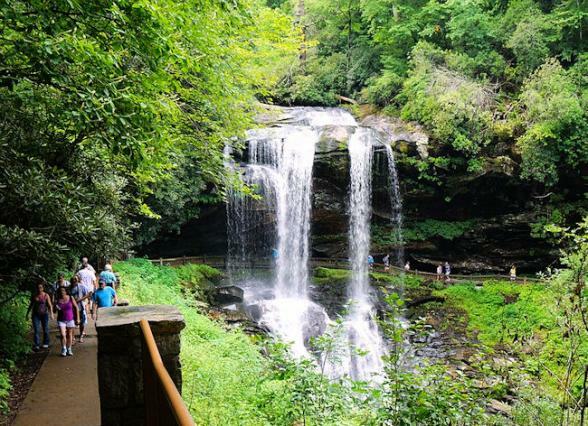 Travel through the Appalachian Mountains and stop in quaint North Carolina towns such as Bryson City and the historic mining town of Murphy. Be sure to check out beautiful Lake Hiwassee in the Nantahala National Forest, this was the home of the Cherokee Indians for thousands of years. However, in the late 1830s, the Cherokee, and other tribes, were forced by government treaty to give up their land and resettle in Oklahoma. This began the sombre Trail of Tears. Your overnight stay is in Georgia's favourite mountain town - Blue Ridge. 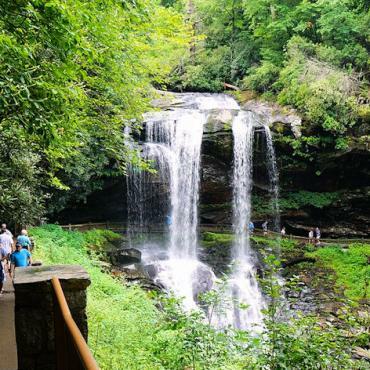 Nestled in 106 acres of Chattahoochee National Forest, enjoy time around beautiful Lake Blue Ridge, ride on the scenic rail road or take a gentle hike to local waterfalls. In the evening stroll along Main Street and enjoy Uptown dining in a small town setting, check out the art scene and listen to live music in the local breweries. On your journey back to Atlanta, stop in mountain town of Rome. Tucked in the foothills of the Appalachian Mountains, this quaint Victorian river town boasts award-winning museums and a beautiful downtown historic district. If you're a fan of Gone With The Wind, you may wish to spend time in Marietta at the the Gone with the Wind Museum. It houses an original collection of memorabilia relating to the book and movie. Alternatively, just 15 miles south of Atlanta, the Road to Tara Museum combines the real history of the Civil War's Atlanta Campaign and Battle of Jonesboro with Mitchell's Gone With the Wind. 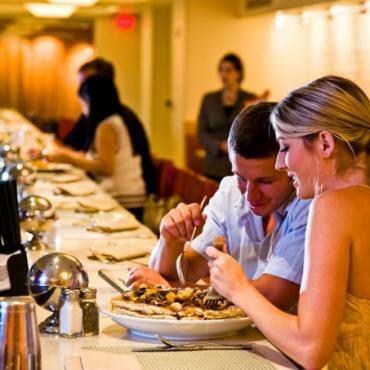 Plan to spend your evening in the chic Buckhead area of Atlanta, awash with decadent restaurants and upscale shopping. Referred to as The Beverly Hills of the East, this is the perfect finale to your Georgia and Carolinas adventure. You may decide to include a city stop over before you had back to the UK. Perhaps a few days in New York or maybe some time exploring Boston. Call the USA travel specialists at Bon Voyage to discuss your perfect Georgia and Carolinas - Southern Hospitality, Sunny Shores and Smoky Mountains adventure.